It’s on the lake front, close to the SS. Pietà Sanctuary. The most of our rooms are in the main house, on the sides of the church. Many of them have a wonderful view on the lake. 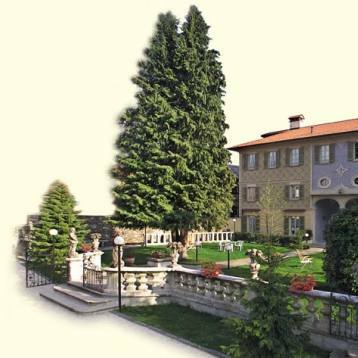 Opposite the main entrance of the hotel lies our 18th century Villa with its quiet beautiful garden, whose charming rooms are furnished with particular care. Our cuisine is simple and traditional. Our restaurant with its 200 places is ideal for groups or banquets. The Hotel has a big private parking.